Posted by carolhagen in Construction Industry Hardware, linkedin, twitter, web 2.0. Social Media Policy is a hot topic for most businesses. The larger the enterprise the greater the impact on the IT infrastructure. Bandwidth bottlenecks can occur quickly with employees all viewing YouTube, Vimeo and Viddler videos simultaneously. Reports on the reduction in employee productivity at work will lead you to believe that social media is a waste of time and that there’s no reason to be in Facebook on business time. Security issues are also a concern with the proliferation of social networks like LinkedIn, Facebook, and Twitter that offer apps, chat and email functions. So what should a company do? Don’t just lock everyone out of everything! This reactionary approach will make your firm look like a dinosaur to your team as well as your customers. I’ve seen this implemented at large publicly held construction companies and I think they’ve shot themselves in the foot by locking out everyone with URL filtering. Determine which employees and social media applications can contribute to your company brand, market reach and customer relationships. Ask your marketing, communications and sales people including anyone involved with customer relationship management or customer support for their input. Check out your competitor’s website to see what social media applications and tools they are using. Often you’ll see a few icons listed somewhere on their site, an invitation to connect in the sidebar of a blog or perhaps an RSS feed of their social activity. Start with defining what is acceptable and unacceptable when using social media sites as you do for email and cell phone usage. Yes, your Legal and Information technology teams will probably influence (scare) you enough that risk tolerance decisions will need to be made. My favorite book for addressing social media policy is The e-Policy Handbook by Nancy Flynn. You may have already decided that “we only allow LinkedIn”, period. Think again. The most popular Business to Business (B2B) network by far in the United States is LinkedIn and they’ve just added the ability to display Twitter feeds and blog posts on the Company Profile. Since blog posts often have videos embedded in articles, you may have just policed yourself into not being able to view your own marketing materials. SSL, sneaking across port 80, or using non-standard ports. It may be time to have your network traffic analyzed for applications, users and content, you need to know what bandwidth is used by social media and have a way to monitor and enforce your policies effectively. The Interface2010 Technology Symposium has this topic covered and while I attended the Scottsdale, AZ event last week, you can still catch them in a few other US cities this year. We’re in the process of scheduling a webinar to help educate business owners and their IT departments on social media policy, monitoring and network security. If you’d like to receive a webinar invitation, be interested in a network audit or have questions, please ask us by posting a comment. Please share this with your business partners, IT friends, and customers. Posted by carolhagen in linkedin, twitter, web 2.0. I finally found a definitive study from Business.com that devotes a portion of their research to my niche…the construction industry. In the 2009 B2B Social Media Benchmarking study published in November discussed such things as “What do people consider to be the most useful social media resources for business information?” and “How do B2B companies judge social media success?” Some of these finding like only 17% of real estate and construction use Twitter to find or request business related information isn’t surprising, but over half of the survey participants visit company blogs and company profile pages on social media sites. This free study is a must read so you know what the Most Popular Business Social Media Initiatives are, how executives use social media differently and how they measure social media success. Posted by carolhagen in Construction Industry - Software, linkedin, twitter, web 2.0. Now that you are listening, have you tried out the Twitter options on LinkedIn? I blogged about it a few weeks back. Read it here if you missed it. Now have you all considered using Twitter (or some other microblogging application) for your company press releases? Posted by carolhagen in Construction Industry - Software, linkedin, web 2.0. With today’s announcement that LinkedIn has opened up their API to software developers and TweetDeck stating in their blog that LinkedIn will be integrated into their next release, it is only a matter of time before we all have more business apps than the iPhone. Focus…not every app is for everyone. Keep your eye on your target audience! I thought this would get you all to read the whole book. What’s in it for me? 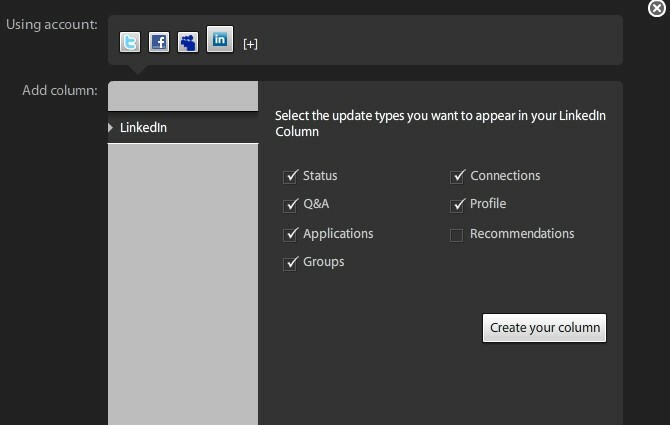 Better designed, useful apps for me as a LinkedIn user of course! I’m ready to try out new Web 2.0 apps for LinkedIn (especially for those focused in the construction, architectural & engineering industries) and hope to hear about all your successes soon. Posted by carolhagen in Construction Industry - Software, twitter, web 2.0. I think Twitter got this one right. If I want to know what my followers are really interested in, it should be their retweets. After all it is a call to action for their own followers and represents the groundswell of our followers reach too. What better way to understand the value of content than from our followers. This is a keeper as far as I’m concerned. 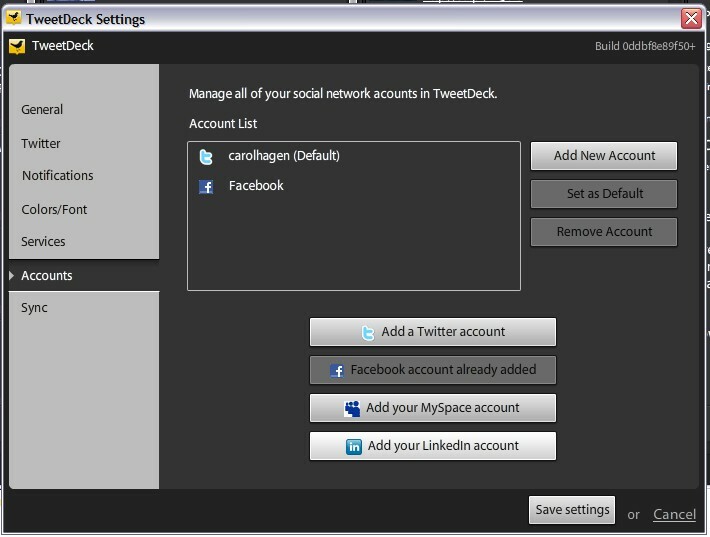 Now will this feature be incorporated into some of the popular aggregators like TweetDeck? How do you decide when to retweet?